There was a time when routers were boring gray boxes that delivered the Internet. These days, the more expensive ones look like spaceships bristling for war with an impressive feature set to boot. 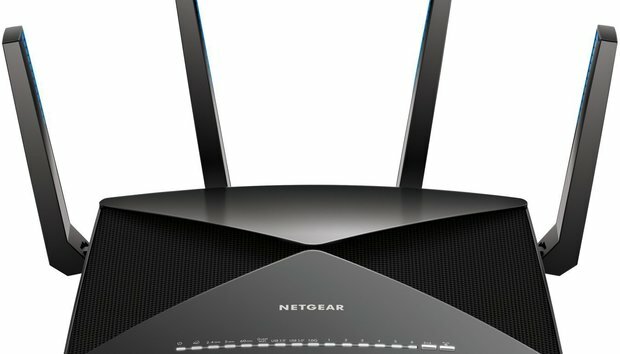 That's exactly the look of the Netgear Nighthawk X10, a cutting-edge 802.11ad router on sale at Amazon today for $350. Originally priced at $500, the Nighthawk X10 has since dropped to around $450 or so, meaning the savings on this deal is about $100, not $150. Nevertheless, that's still a pretty good deal for a router this chock-full of features. First up, it of course supports 802.11ad Wi-Fi, a short-range super-fast wireless standard that isn't widespread just yet but offers much faster throughput than the 802.11ac standard. Perhaps more importantly for the moment, this router also offers 4x4:4 802.11ac Wi-Fi, which means it has four receiving and four transmitting antennas with four spatial streams. The router supports 2.4 and 5GHz bands as well. Beyond its wireless chops, the X10 packs a Plex Server for dealing with your personal media library. The X10 can also act as a backup server for Windows if you attach an external drive to the router, and it can share USB drives and printers on the network too. There are six gigabit Ethernet ports, and a 10 Gigabit-per-second SFP+ port is available for any NAS that has the chops to use it. Finally for you smart-home fanatics, the Nighthawk works with Amazon's Alexa—though we doubt "Hey Alexa, speed up my Wi-Fi" will do much for you.